Despite breaking his arm the week before, Little Man had a really lovely birthday. 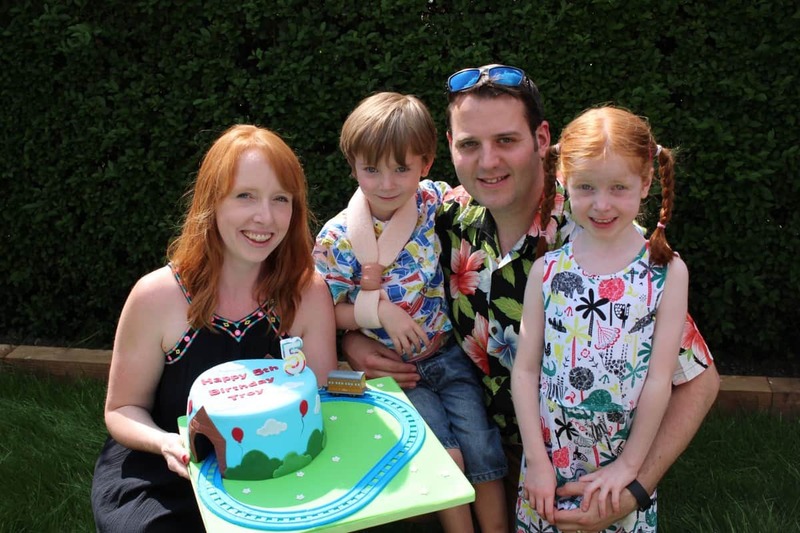 He had a trampolining party with his school friends, a trip to Peppa Pig World and a garden party with friends and family – as well as a pretty epic cake. 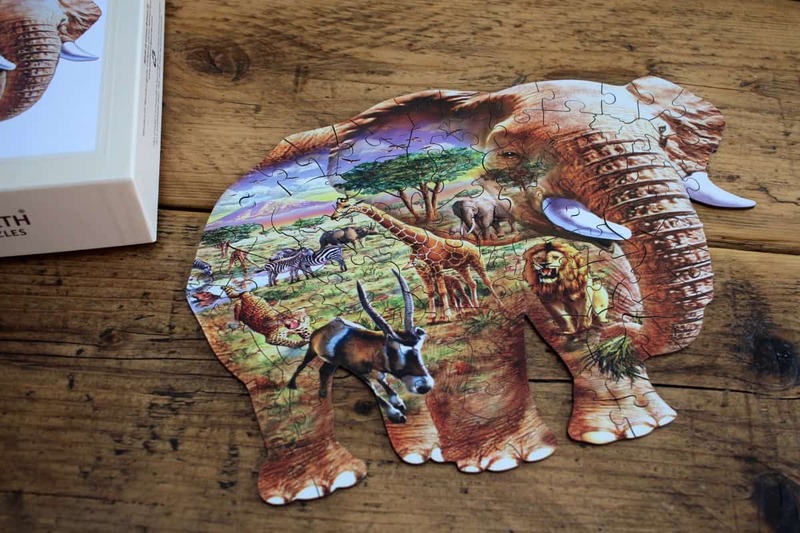 This month Wentworth Wooden Puzzles sent us their shaped Elephant Savanna Jigsaw Puzzle. I’ve spoken before about how Little Man loves jigsaws and he can now do 100 piece puzzles with very little help so I thought this would be a nice challenge for him. 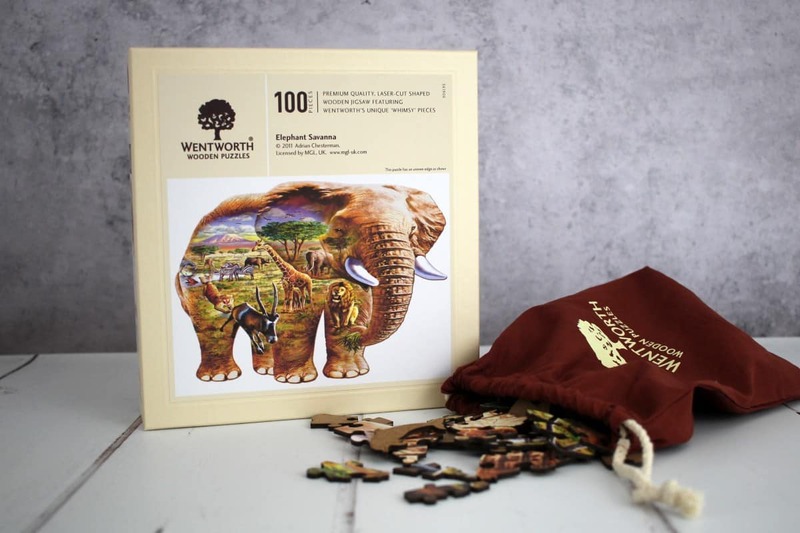 Wentworth Wooden Puzzles are absolutely beautiful and come in a really sturdy box with all the pieces in a drawstring bag. 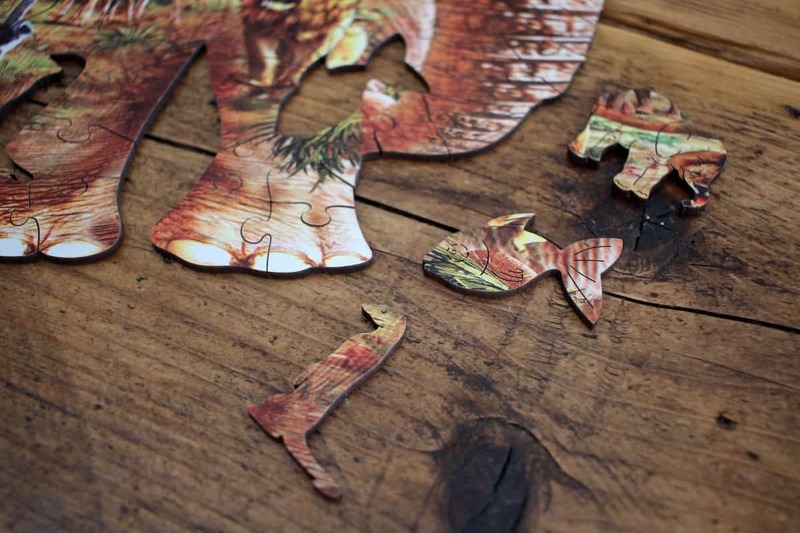 The pieces are all cut from wood and it makes each puzzle just so beautiful and something that could be appreciated for generations. The finished puzzle couldn’t have been more perfect. The pieces fit together seamlessly and the finished picture was stunning. Plus, there were animal shaped pieces amongst the more typical jigsaw pieces making it so exciting for LP and Little Man. 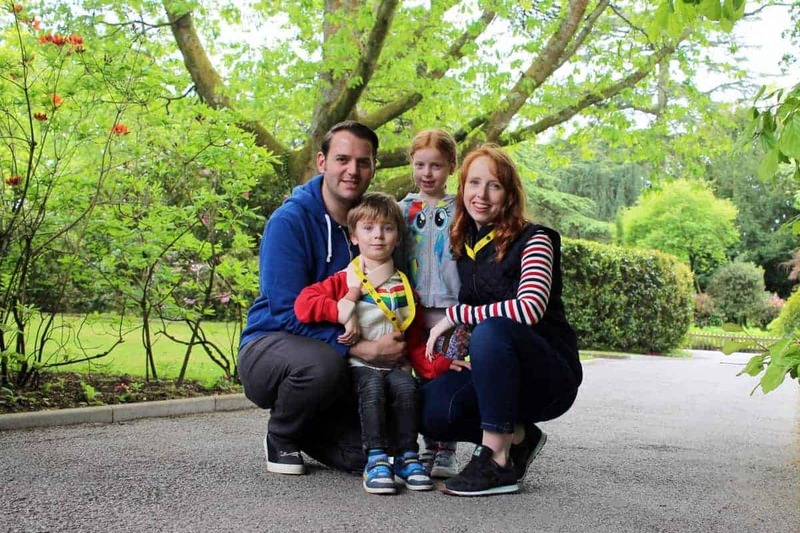 We had our annual trip to Alton Towers which LP and Little Man absolutely loved. We spent one day at the splash park and one at the water park and, although we were exhausted at the end of it, it was a really lovely weekend. Over the last week I’ve been enjoying Aqua Libra – a drink I hadn’t come across before. 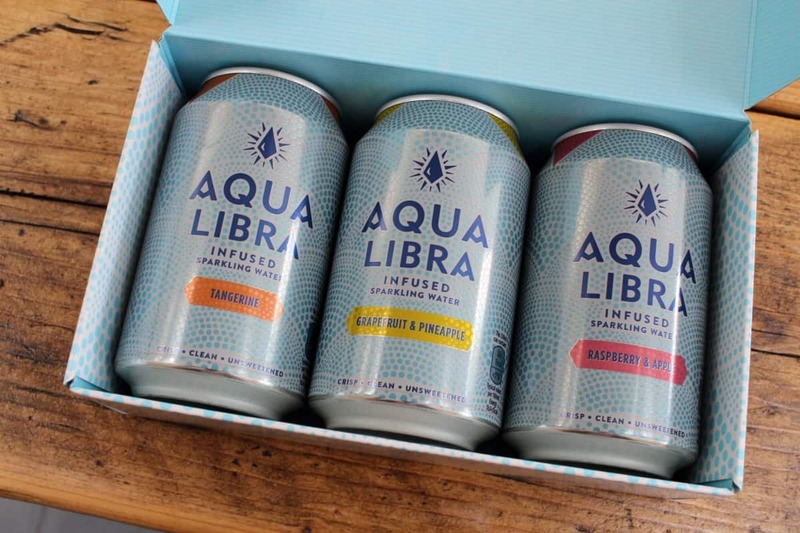 Aqua Libra is a range of sparkling water drinks, infused with flavour – Raspberry & Apple, Grapefruit & Pineapple and Tangerine. The flavours are all just strong enough – not too overpowering and work well with the fizz of the drinks. The drinks contain no sugar, no sweeteners and nothing artificial – and only have 3 calories per can. They’re so refreshing, so easy to drink and would probably be a great mixer for a summer cocktail too! 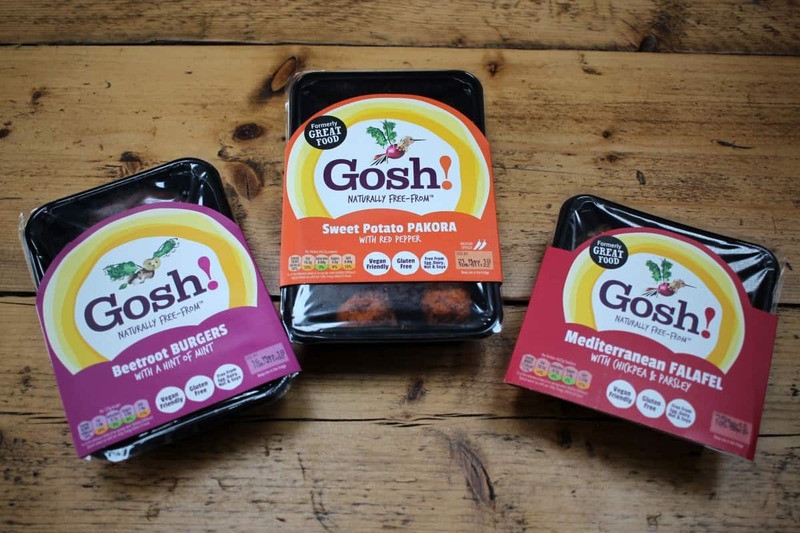 I am notoriously bad at eating lunches at home and so, in my search for a healthier lifestyle, I started having Gosh! Products for lunch. The range is completely free-from, 100% vegan and really just packed full of plant based goodness. I’m usually all about meat but I have been trying to eat more natural, clean foods over recent months and so Gosh! products served with a simple salad are perfect for me. 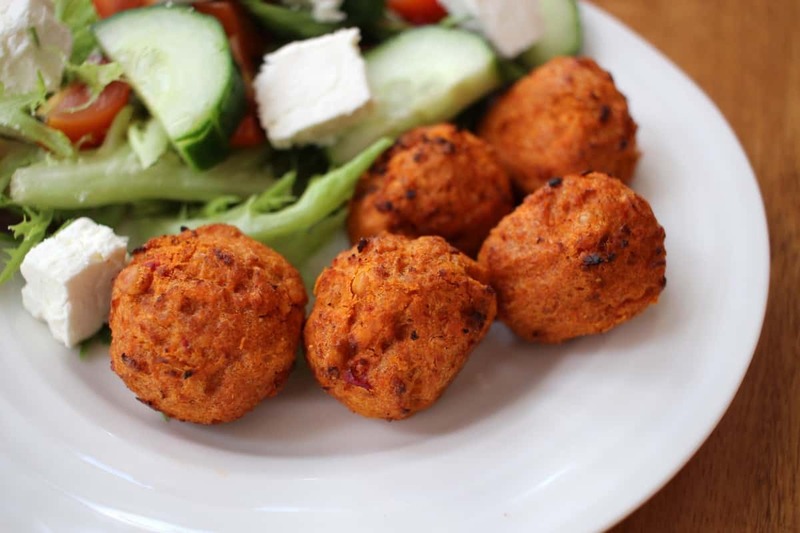 Their Mediterranean Falafels were lovely and moist and full of flavour as well as being so filling. 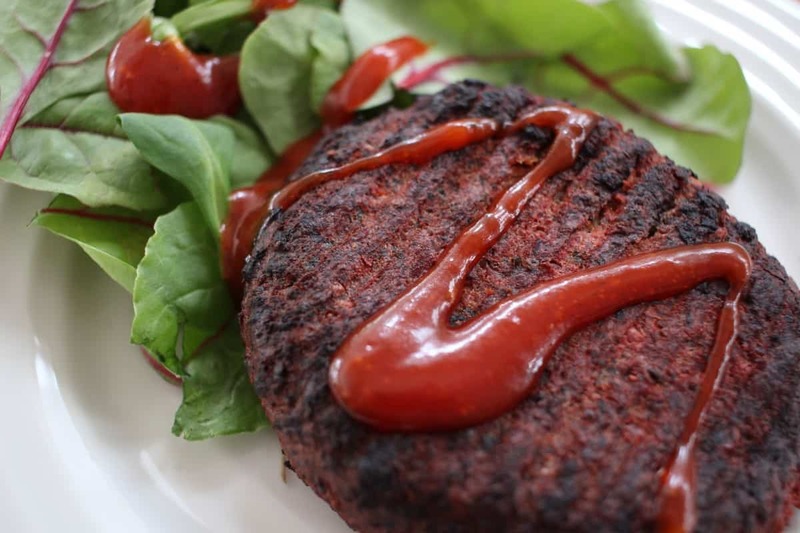 The Beetroot Burgers had a lovely minty taste to them and they would make a great burger in a bun alternative. I don’t eat much beetroot so this made a really nice addition to my meal plan. And the Sweet Potato Pakoras were nicely spiced and a really filling lunch. All of the Gosh! products were lovely to eat and made really enjoyable meals. Now, I just wish the rest of the family were so open to vegetarian products so we could have them for dinner! 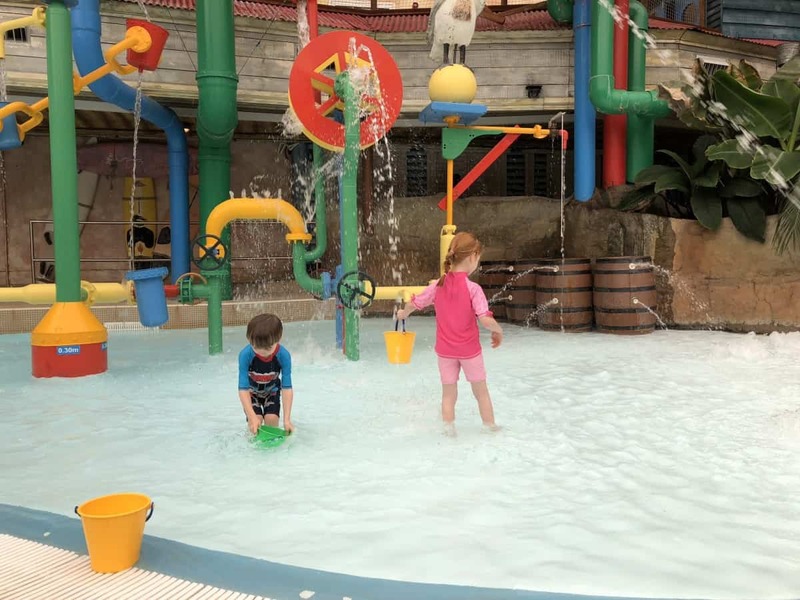 We had such a nice day at Peppa Pig World – the weather was good to us, we went on so many rides and the children were pretty much happy all day. It was the perfect family day out – and I know we’ll be back before too long. The children received a lovely package of products from Vosene Kids this month – our go-to haircare brand for the children. 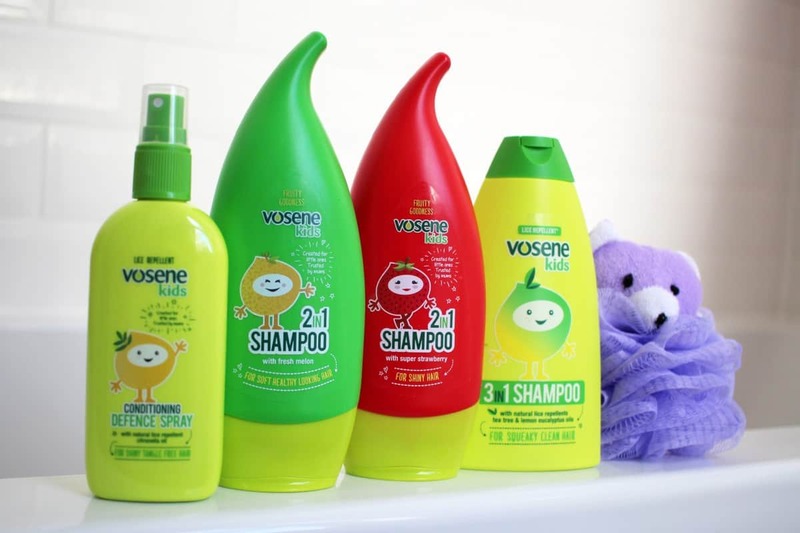 We first started using Vosene when the children first had head lice and, touch wood, the 3 in 1 Shampoo and Conditioning Defence Spray have kept the head lice at bay ever since! Now, Vosene’s whole range is a fixture in our bathroom. The shampoo smells great and keeps the children’s hair so clean as well as stopping it from getting tangled too. Plus, the children love the bright bottle and cute Vosene characters – full marks from us. I was sent Oomi Protein Noodles to try and it inspired me to cook proper lunches – which hardly ever happens when I’m working from home. 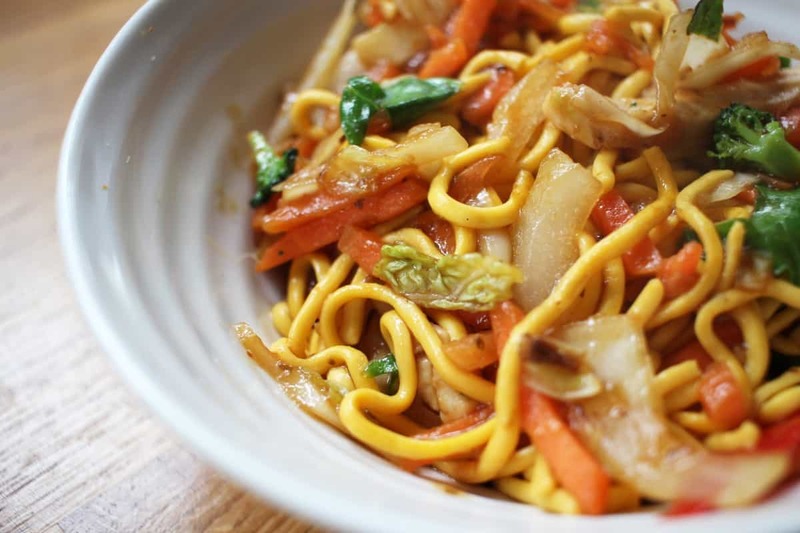 The noodles take just a minute or two to cook or can be served cold in a salad and come in pre-portioned servings too. 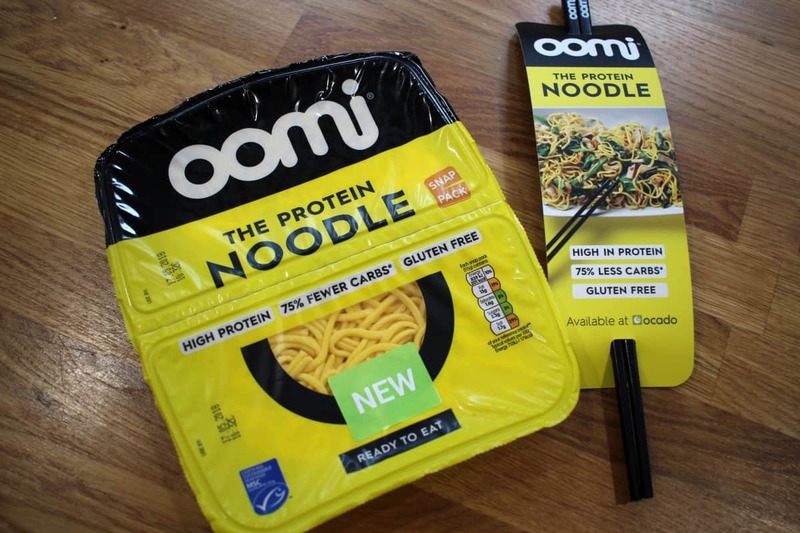 The best thing about Oomi Noodles is that they are high in protein and have 75% fewer carbs than other brands and are also gluten free. Plus, they tasted great and they are now a staple on our weekly shopping list. I went to Blog On for a weekend – my favourite conference and one that I get to enjoy twice a year. It was so lovely to see so many friendly faces, to chat to brands and to learn a thing or two as well. It was such a great event and I cannot wait to go back in September. 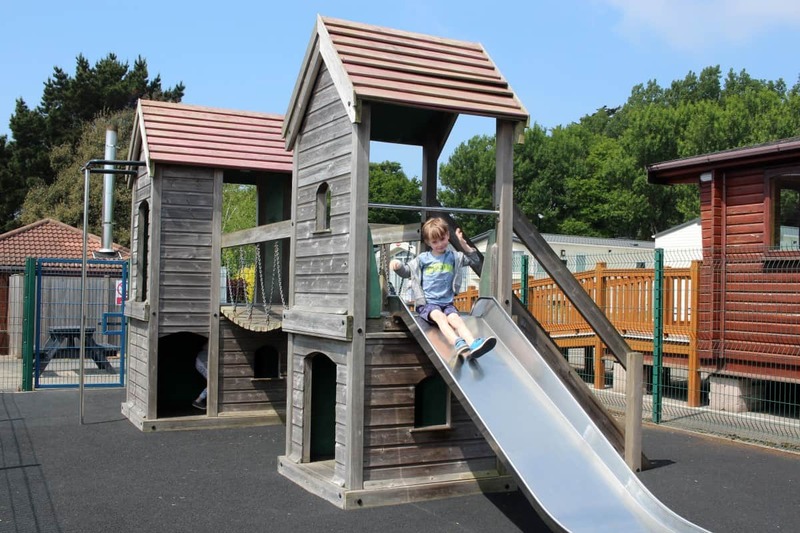 We had a lovely weekend in Hampshire at Shorefield Country Park – somewhere I used to holiday as a child. The children had a great time, we got to see so much of the coast and it was a really lovely weekend. I’m sure we’ll be back. I was lucky enough to get a copy of Gangster School before it’s release – and I’m now quoted on the back of the official copies. 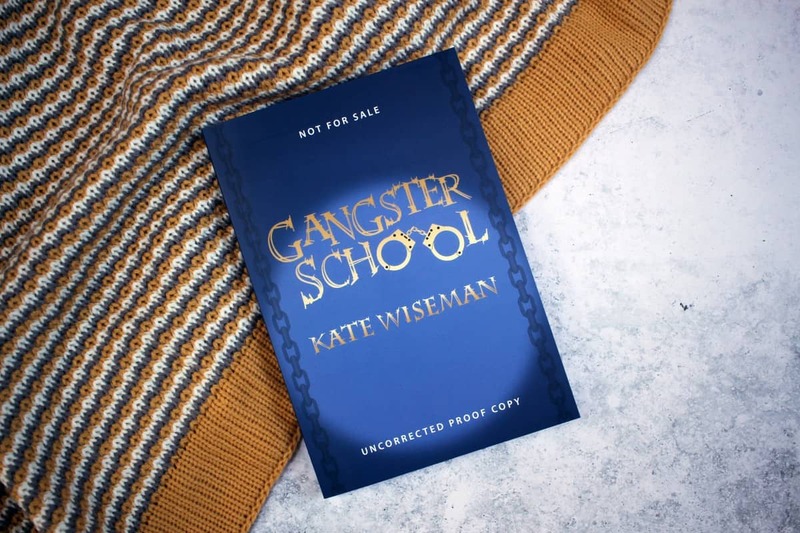 It’s like Hogwarts for aspiring criminals, full of adventure and life lessons plus really likeable characters who you can really get to know and invest in. I can imagine this being the next big series – and maybe even a movie later on. 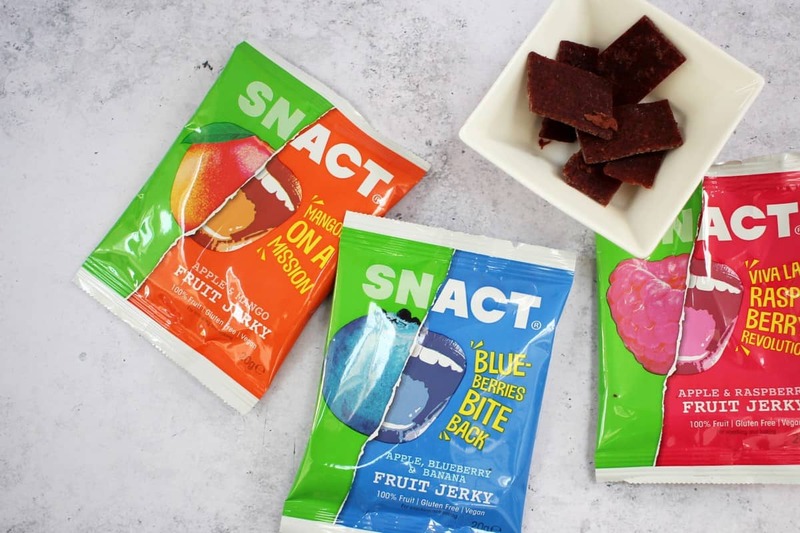 I love finding new snacks to keep me going through the day and Snact is my latest find. It’s fruit jerky which comes in a range of flavours and is made from 100% fruit – making it both gluten free and vegan. For around 50 calories I think Snact is great. The jerky consistency means it takes a while to chew and eat, making it a snack you can really savour and it gives you a lovely sweet hit too – fixing those sugar cravings! We love a castle and went to Hurst Castle whilst we were at Shorefield. It was such a lovely day out and the weather was perfect for it plus, we ended up walking eight miles that day all around the coast. Such a lovely day out that I’d love to repeat. Staxx Bars are probably my favourite find this month. 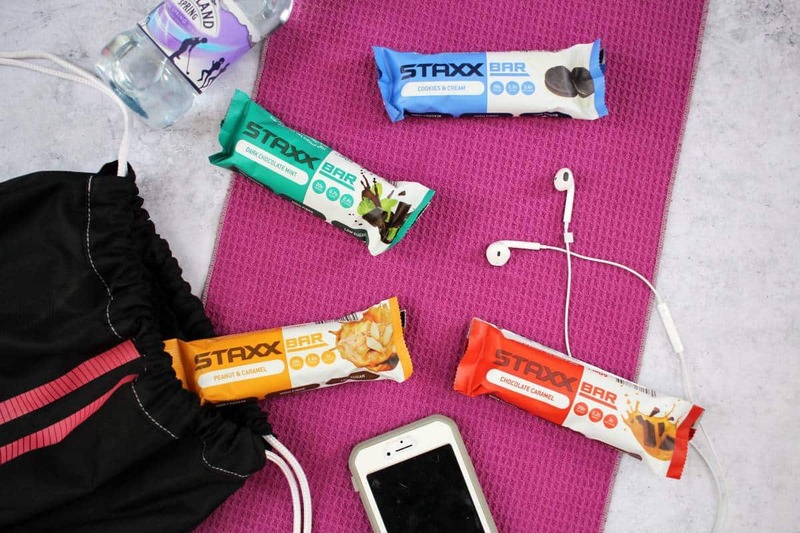 They are protein bars that can be enjoyed by everyone – not just gym goers. 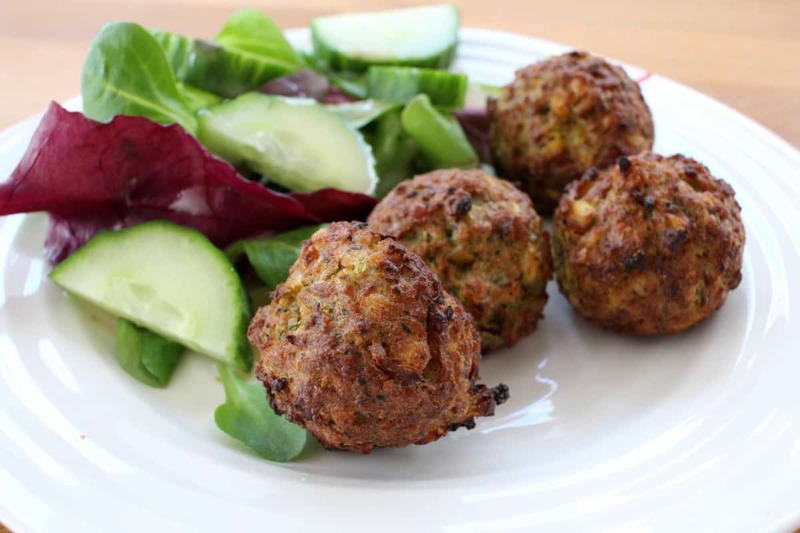 They are a really great, filling snack that can be kept in your bag for any time you need an energy boost. The bars come in four great flavours and I’ve been enjoying them after the gym but also on days out and weekends away. The bars come in four great flavours – Chocolate Caramel, Peanut Caramel, Dark Chocolate Mint and Cookies & Cream. They are so tasty, full of flavour and probably some of the nicest chocolate bars I have ever had – yet so much better for me than a typical chocolate bar! I’ve been back at the gym for a couple of months now and Unique Physique sent me a gym outfit to make sure I was well kitted out for all those gym sessions. They have both men’s and women’s ranges and sent me a long sleeved top, vest and leggings to try out. The Unique Physique products fit like a glove but have a really good amount of stretch and give in them to make them super comfortable throughout my time in the gym. 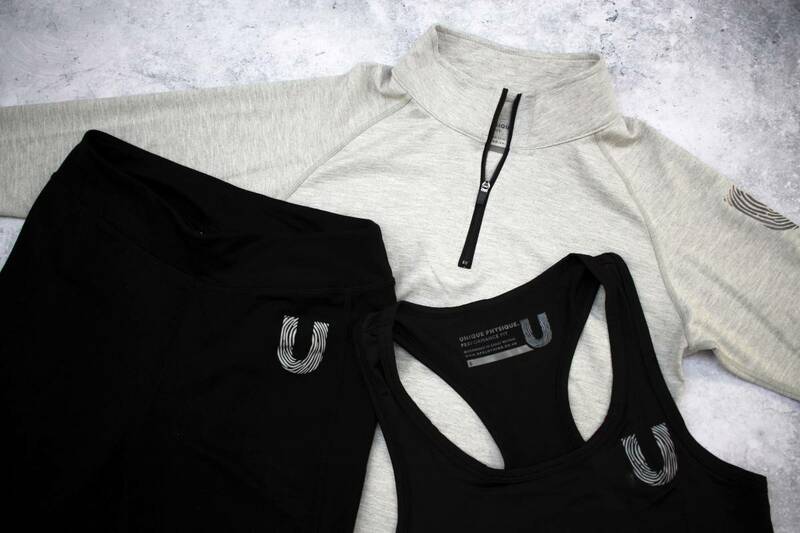 The leggings have a handy storage pocket at the back and the long sleeved top is great for putting on before and after workouts but will be great in the colder weather too as an extra layer. All of the items are great quality and I would definitely buy from them again in the future. 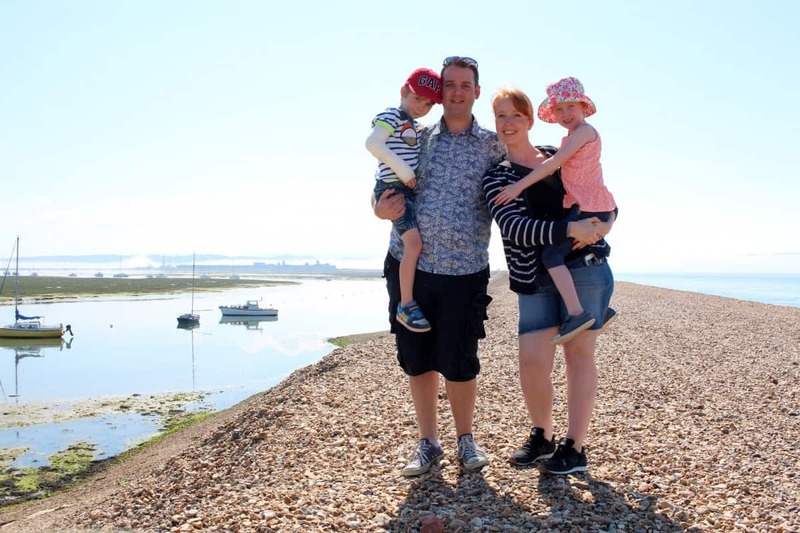 Whilst we were in Hampshire we visited Christchurch Avon Beach, mainly because when I Googled it said there was a fish and chip shop on the beach – and Google didn’t fail me. 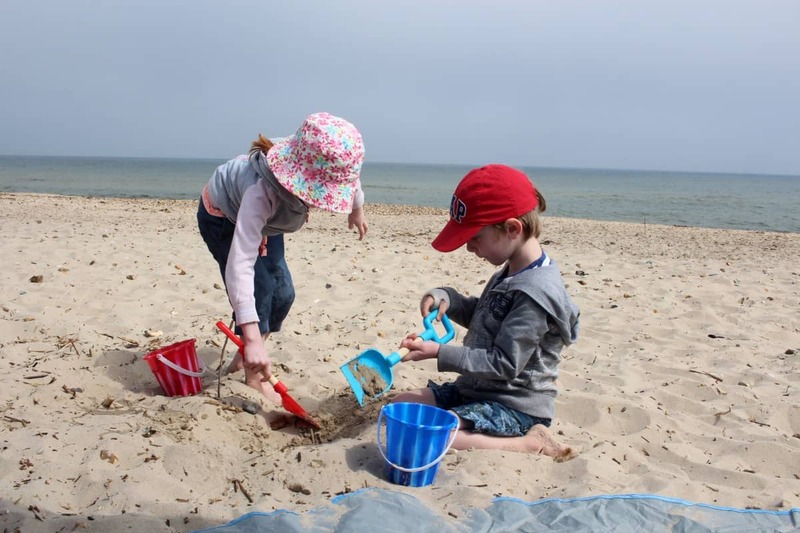 We had amazing fish and chips, the children played and we got to use our new beach tent. It was a perfect afternoon. I think all parents of young children will have experienced their child having a fever at some point – and bought every single thing in the pharmacy to try and alleviate it. 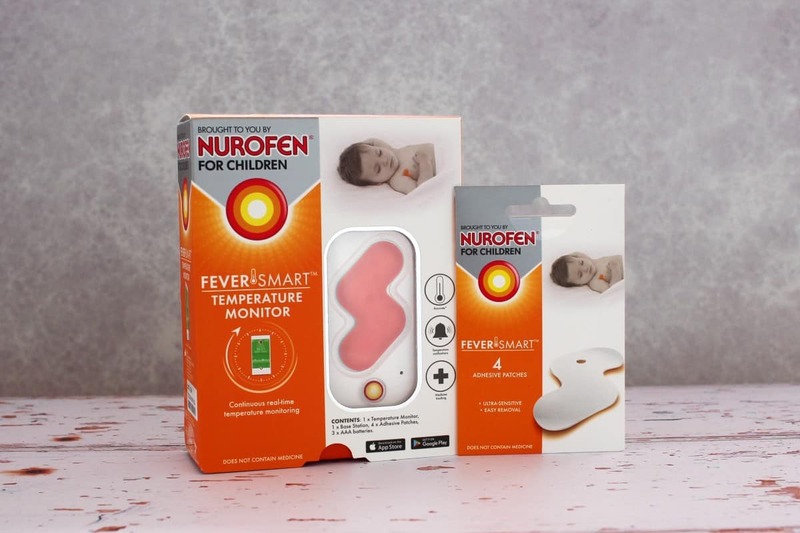 Now Nurofen have brought our their FeverSmart Temperature Monitor to help that little bit more when your child has a temperature. FeverSmart is a stick-on thermometer which takes a constant accurate reading of your child’s temperature, displaying it on a mobile app. This means you can keep a constant eye on your child’s temperature without disturbing them and the app will alert you to any significant increase in temperature. This is such a great idea and something I know will help to ease some of the stress and worry when your child is sick. I love new jewellery and rings are one of my favourite things – especially as I don’t wear a wedding ring, I like to have an alternative to wear. 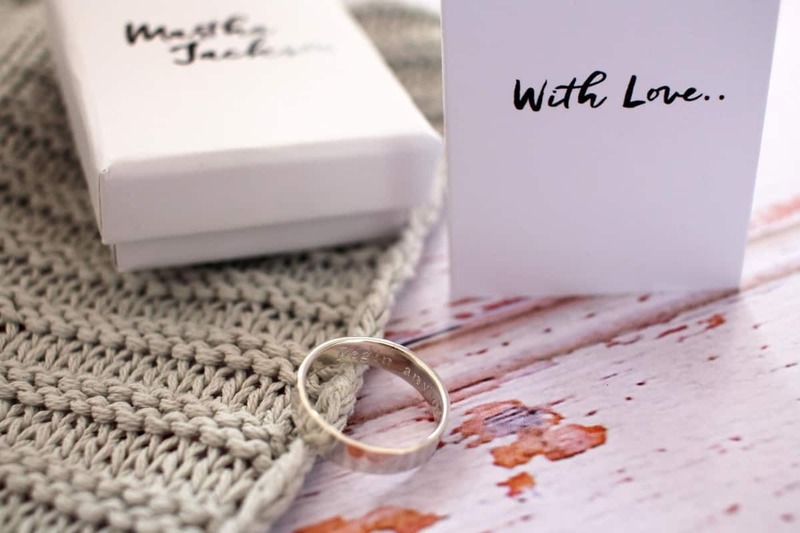 Martha Jackson sent me a Secret Message Ring which I think would make a really beautiful gift. The ring can be inscribed with any messaged and I chose ‘begin anywhere’ – reminding me that it’s never too late to start something new or to start afresh, you don’t need to wait for a brand new day, a new week or even the New Year. 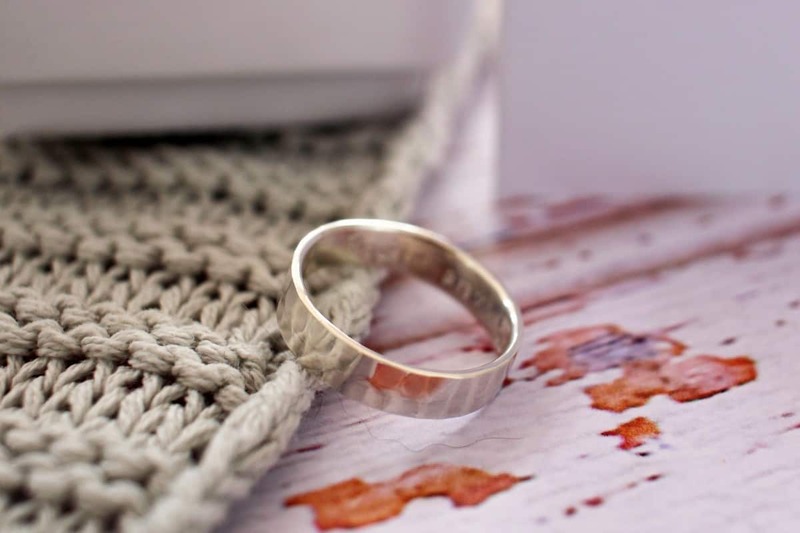 The ring came beautifully gift boxed and well packaged and I love the hammered effect of the band. It really is a really lovely piece of jewellery. Martha Jackson have also given me a discount code to pass on to readers – you can use code GP10 for 10% off orders made in the next two weeks. And there you have it, quite a lot we’ve been loving in May. I’m hoping June will be just as full of things to like and love. I really love being able to look back at all the positives that each month has in it. Looks like you had a busy but tasty month! Happy belated birthday to your little boy, your right though that cake is pretty impressive!